Students of anthropology study societies and civilizations across time, around the world. They use scientific skills to better understand the human condition, examining human culture, biology and evolution, music, art and the remains of past civilizations. Anthropology is the study of humanity through time and space. Anthropology is a holistic discipline — we look at the whole of the human condition including culture, human biology and evolution, music, art, and the cultural remains of peoples past. There are four sub-disciplines in the field of anthropology — cultural anthropology, biological anthropology, linguistics and archaeology. As a science, each of these sub-disciplines uses the skill set of any scientist which includes observing natural/cultural phenomena, employing research methodologies, creating and testing hypotheses, applying theories, and developing vast datasets. 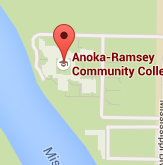 The Anthropology Department does not offer a degree, but does offer four courses Principles of Archaeology, Introduction to Cultural Anthropology, Introduction to Physical Anthropology and Environmental Anthropology. 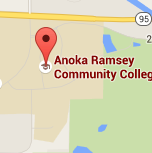 Certain Anthropology courses at Anoka-Ramsey satisfy Minnesota Transfer Curriculum (MnTC) requirements.